i recently saw drive. it’s easily one of the best films of the year. a couple of things worth noting: 1) the soundtrack is incredible – sets the mood of the film perfectly. 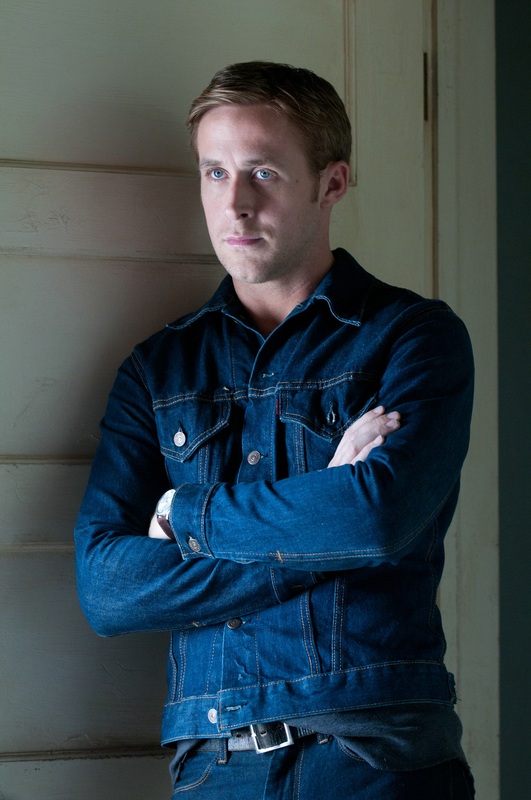 2) the scorpion jacket ryan gosling wears in the film is custom made and inspired by korean souvenir jackets from the 1950s. 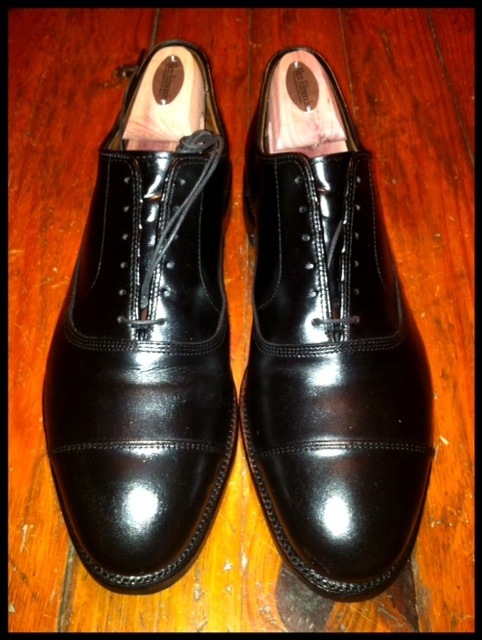 3) the boots are a cap toe boot made by stacy adams. 4) the jean jacket is vintage levi’s. 5) his watch is a replica of a patek phillippe and currently not for sale. 5) the bag he uses in the film is a large filson duffle. 6) sunglasses are selima optique. the new j. crew catalog arrived sometime last week. 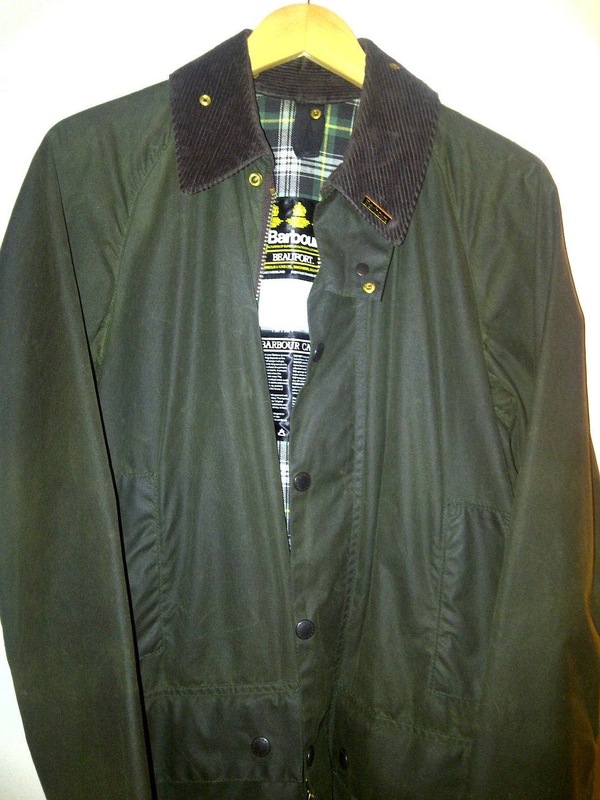 thumbing through it i noticed a jacket eerily similar to the filson mackinaw cruiser. 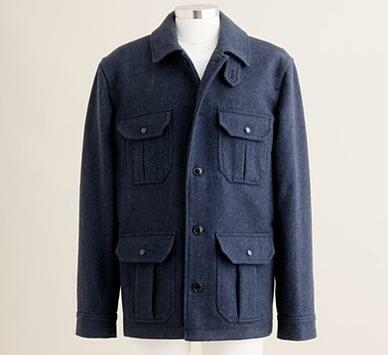 j. crew is calling it the irvine jacket (bottom pic). 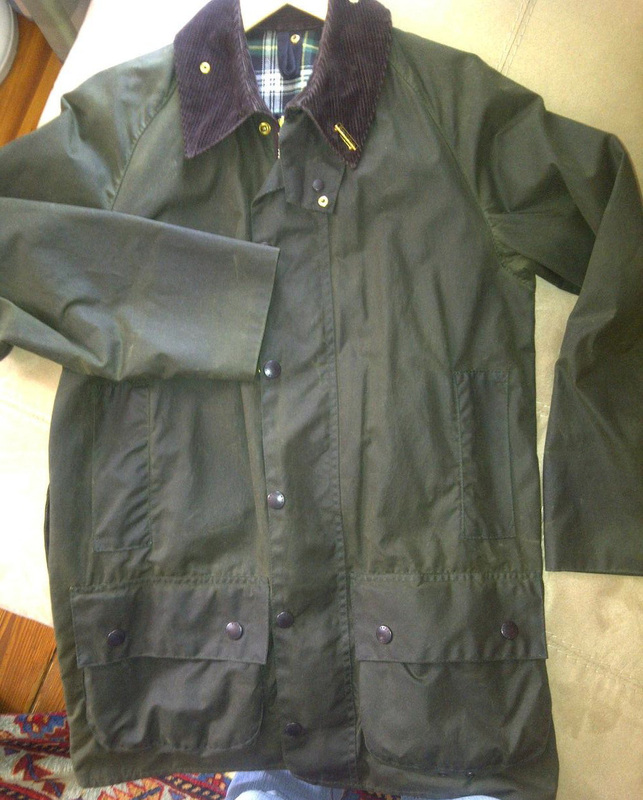 it’s essentially the exact same jacket as filson’s. 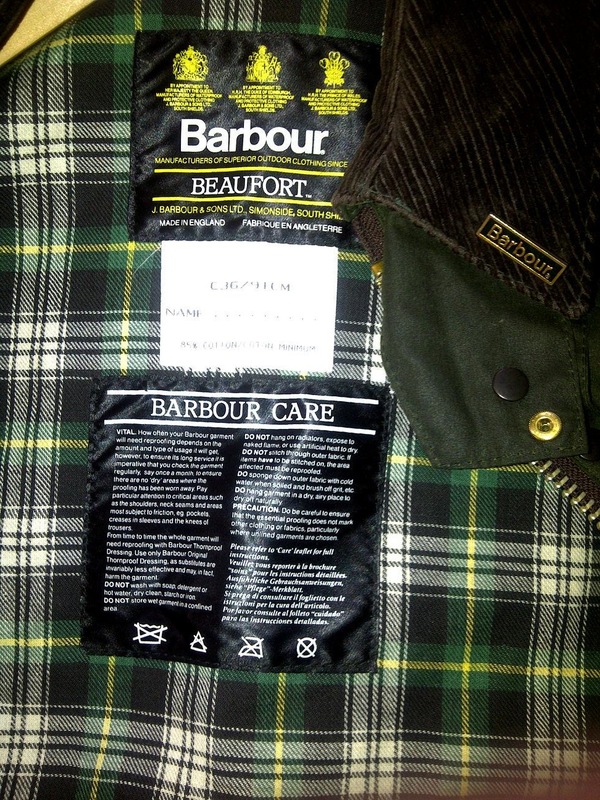 it’s wool with chest flap pockets, handwarmer pockets, and buttons at the cuff. it doesn’t look half bad, but i’d still go for the mackinaw cruiser. 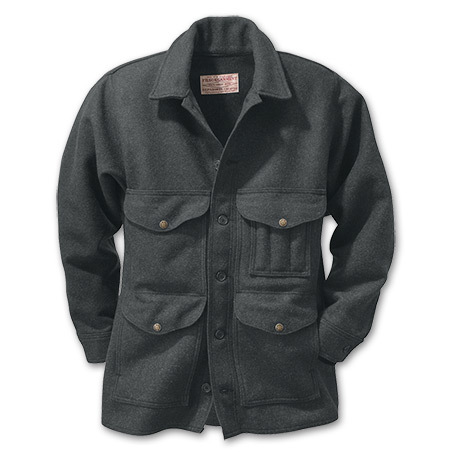 filson’s been making their jacket since 1914; j. crew since 2011. no contest here. 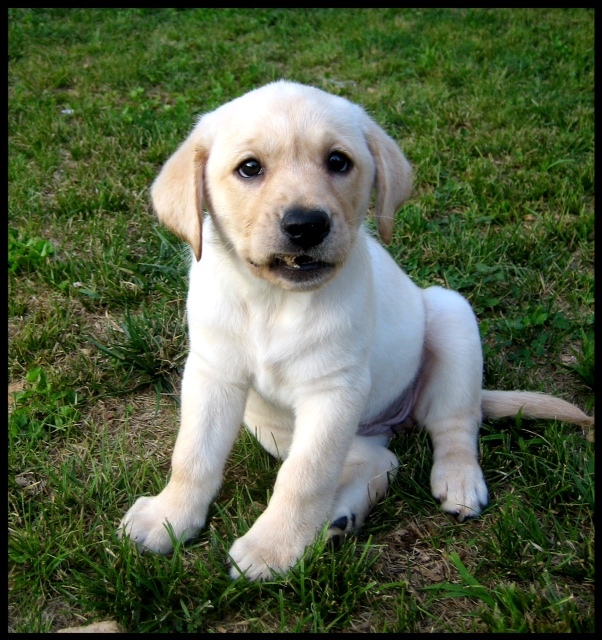 …there’s a great dog. for the record, i’m not saying i’m great; i just thought it sounded clever (sorry trip). i wanted to take some blog space to share a few more pics of riley. i got her a little over 5 years ago and couldn’t imagine life without her. she’s one of the coolest dogs i’ve ever been around. she didn’t chew anything up when she was a pup and she hasn’t barked since the first night i brought her home. 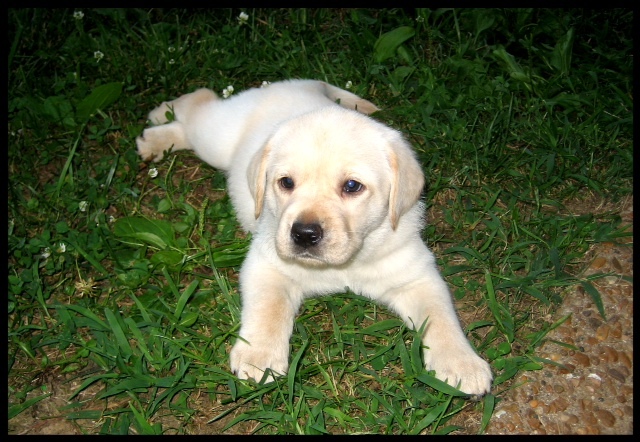 her only fault would be that she likes people too much – which is the case with 99% of labrador retrievers. i’m not gonna lie – it’s hard work, but it’s fun work. if you’re thinking about getting a dog, do it. it’s one of the best decisions i’ve ever made. 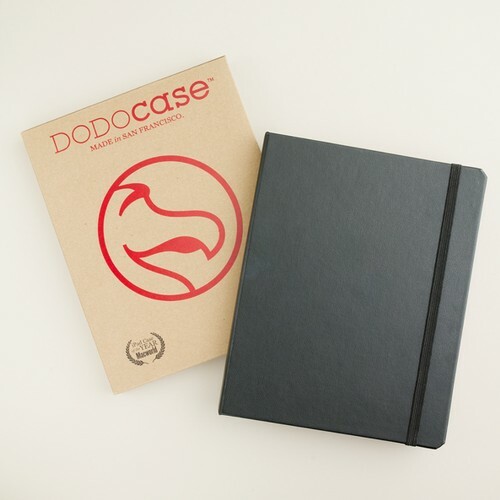 if you have an iPad 2, you’re going to want a dodo case. i’ve had the smart cover since i bought my iPad 2, but it’s not so smart any more. the magnets have worn out and the lining is dirty from flipping it while the iPad is open. rather than waste another $69 (still can’t believe it’s that expensive), i figured it was time to try out the dodo case. let me just say you won’t find a better iPad case on the market. plus, it’s $10 cheaper than that awful smart cover. 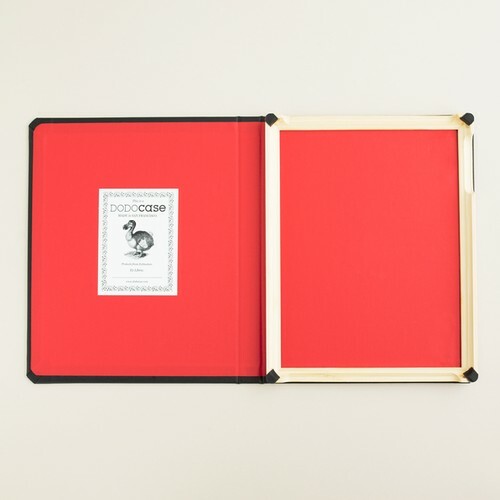 buy yours at dodo case or j. crew. espn does a great job with their documentaries. the 30 for 30 series is one of the best. 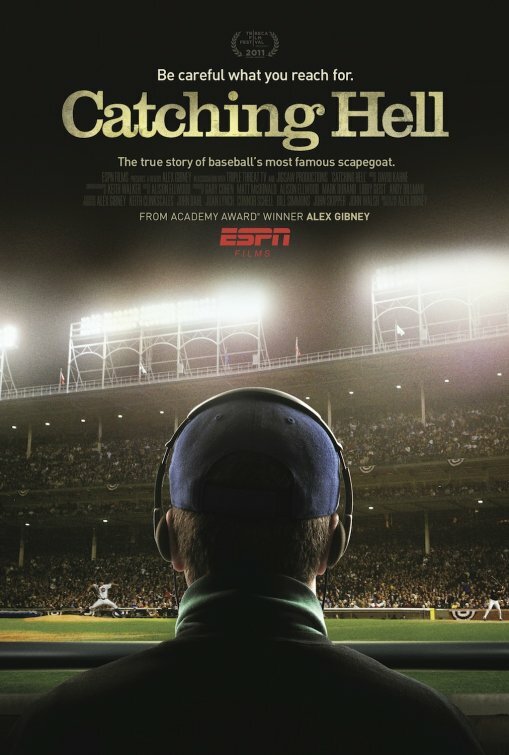 when i saw the trailer for catching hell, i made sure my dvr was set for record. i watched it last night. i am so thankful alex gibney made this movie. poor steve bartman and poor chicago cubs. if you don’t know the story, let me give you a quick summary: in the 2003 national league champion series between the marlins and the cubs, a cubs fan named steve bartman interfered with a catchable foul ball that led to a complete cubs meltdown. the cubs went on to lose the nlcs and the world series drought continued. fans blamed bartman for the collapse. gibney does a great job taking the documentary from the curse of the billy goat to bill buckner’s missed groundball in the 1986 world series to steve bartman’s fan interference. he interviews those that were in the stands around bartman as well as baseball announcer steve lyons who called the game and moises alou who almost makes the catch. if you’re a baseball fan, it’s a must watch. if you’re not a baseball fan, there’s something there for you too. it’s an interesting study on being in the wrong place at the wrong time. if that ball was hit a foot to the left, the documentary might have been about someone else. instead cubs fans are left blaming bartman for crushing their hopes and dreams. this post would be more exciting if my dumbass would have taken a couple of “before” pics. as i mentioned last week, they were in such bad shape that i was embarrassed to show how far i let them go. 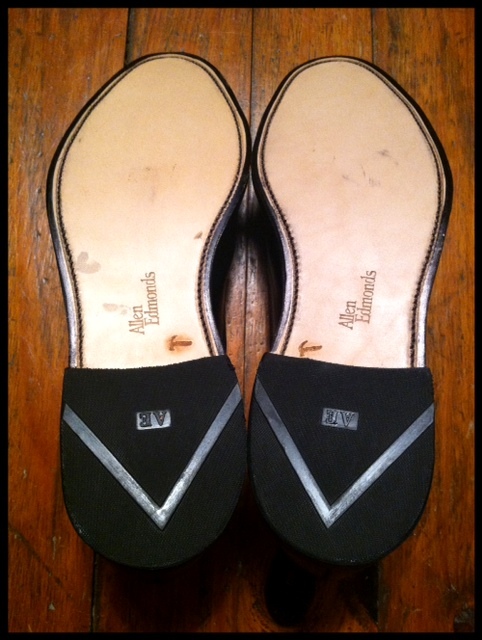 i received my recrafted park avenue shoes on monday. they look brand new. i left the flash on the camera so you could see just how polished they are. i went with the “prestige” package which included shoes trees and shoe bags in addition to the new sole (love the hammer detail) and refinish. 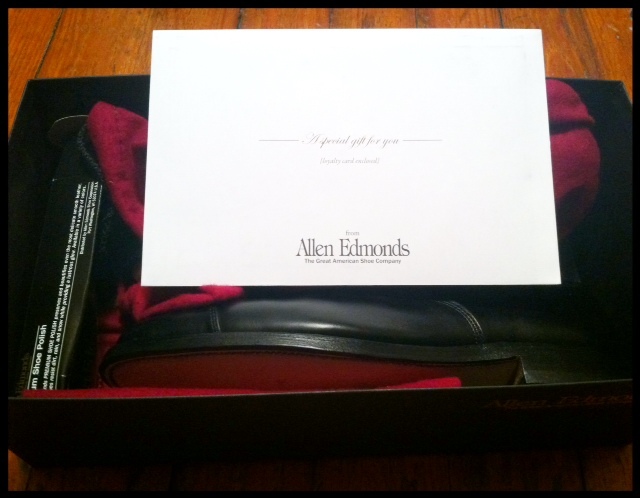 allen edmonds threw in a nice thank you card with a $35 gift certificate and some polish. your local shoe repair man could give you a nice resole, but nothing this fine. one more reason why i buy shoes from allen edmonds.